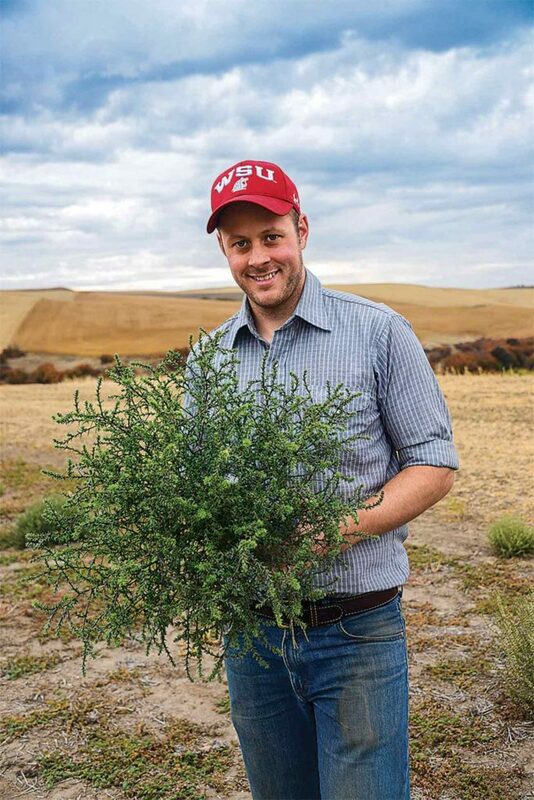 When John Spring started studying the remarkable diversity of Russian thistle plants for his Ph.D. thesis at Washington State University, he expected to find that the tumbleweed represented more than one species. It didn’t. What he found was even more surprising — resistance to glyphosate herbicide. The resistant plants Spring found were collected in 2015 in a field in Columbia County, Washington. Four-inch plants from that sample withstood rates of 128 ounces of glyphosate. Glyphosate-resistant Russian thistles were also collected that year in Montana and eastern Oregon. High risk. Russian thistle is almost perfectly suited to develop herbicide resistance and spread it quickly. The species’ gene pool is extremely diverse, increasing the odds of mutations that make individuals tolerant to a herbicide. 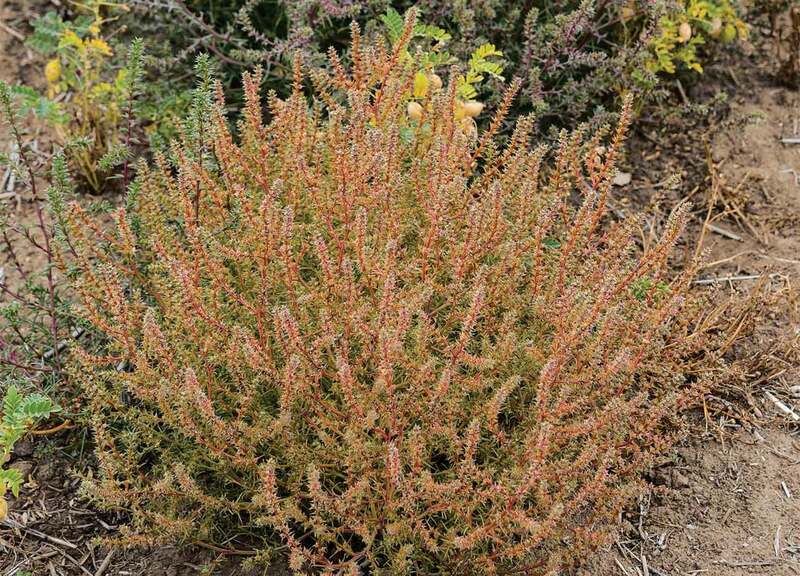 It’s prolific, and germinates over much of the growing season. And when mature plants dry out and break off from their deep taproots, they tumble across the landscape, dropping thousands of seeds. Spring points to a 1992 study of Russian thistle that found plants traveling up to 2.5 miles in six weeks and individual tumbleweeds dropping as many as 76,400 seeds — 11 seeds per square yard — along their journey. John Spring found glyphosate-resistant Russian thistle while studying the weed’s genetic diversity. Resistance is more noticeable when the weather is warm, Spring notes. On the flip side, the cool 2016 growing season likely increased the effects of glyphosate even on resistant plants. He says that pattern also occurs in horseweed and barnyard grass. Watch carefully. Because temperature, plant size, spray gallonage, and other variables can impact the efficacy of glyphosate on Russian thistle, Spring is quick to note that not every escaped Russian thistle is resistant. Spring recommends scouting fields three to four weeks after applying glyphosate. Look for Russian thistles that are thriving where other weeds were adequately controlled. Consider other factors that could have caused control failure, but start considering that your Russian thistle population may have developed resistance. Be sure to look across the fence at nearby fields, too, adds Carol Mallory-Smith of Oregon State University. “If your neighbor’s not controlling it, you need to be much more aware of what’s coming onto your farm,” she says. Judit Barroso at Oregon State University’s Columbia Basin Research Center near Pendleton, Oregon, identified three glyphosate-resistant populations out of 10 samples collected in eastern Oregon in 2015. She says herbicide management and cultural practices will be vital for stalling its spread. 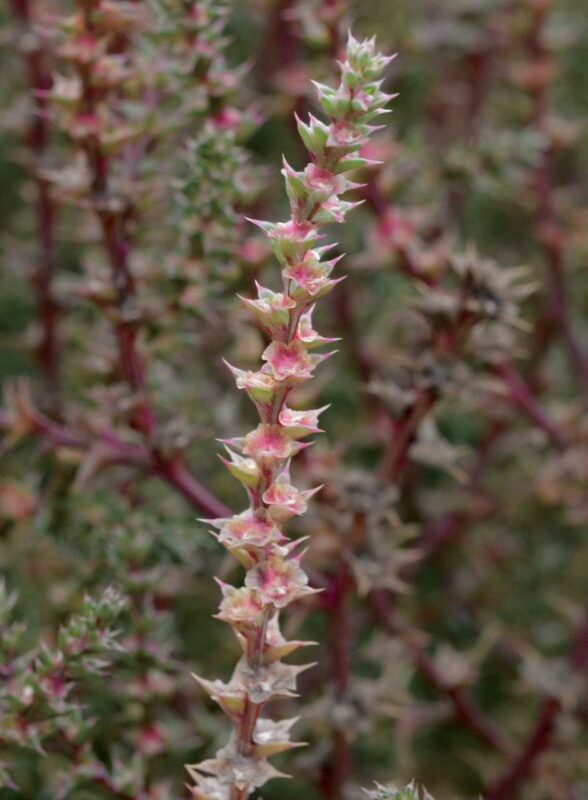 Russian thistle (Salsola tragus) produces thousands of seeds per plant and is genetically diverse — a prime candidate for resistance. That can get expensive and complicated, she admits. Currently, Barroso is testing Spartan Charge, Valor, and new postemergence herbicides on Russian thistle; older products like Huskie, 2,4-D, and some bromoxinil formulations could also play a role in rotations. She is also studying narrower row spacing in spring wheat as a strategy to out-compete the weed. Every tool available — along with careful vigilance — will be needed to keep glyphosate resistance from making Russian thistle a nightmare.